Ever since I picked up my first weight as a scrawny kid, I have wanted to gain size and strength. To this day I still am fascinated with how to gain muscle. I have learned a lot about gaining muscle over the years from my own success and that of my clients and my athletes. However, I have learned even more from my failures. Countless plateaus and years of no results have spoken volumes to me about what to not do when trying to gain muscle. Allow me to share with you some of the common mistakes I and many others have made when trying to gain muscle. At first this seems logical. You want to get big, so you find the best bodybuilder in the world and follow his routine. The problem with this is that routines are context-specific. What works for an advanced, genetically gifted, drug-using elite bodybuilder to fine-tune his physique is not appropriate for a natural beginner with average genetics. Gyms all over the world are filled with young guys doing endless sets of chest flies and curls hoping to build a powerful-looking chest and shirt-splitting pipes. When it comes to gaining lean muscle many people mistakenly pick all the wrong exercises. One thing that misleads a lot of young guys is the pictures they see in the bodybuilding magazines. If you study a lot of bodybuilding magazines, you begin to notice that the most commonly-chosen exercises to photograph are the ones that basically have the bodybuilder posing (think cable crossovers – this puts the body builder in the most muscular pose and looks way more impressive than seeing the same bodybuilder doing squats). These exercises are photographed not because they are the best exercises, but because they look the best in the pictures. If you want to get bigger you need to get stronger. This is especially true for those not using steroids and with average genetics (however the best bodybuilders have been very strong – examples include Ronnie Coleman, Dorian Yates, Arnold, Franco Columbo and Johnny Jackson). As I reflect back on my training history I found that every period of fast muscle gain was accompanied with substantial strength increases. I also found my plateaus were accompanied by no increases in strength. There is no perfect program – period! Sure there are good programs and there are bad ones, but there are no perfect programs. I remember spending hours each night (when I should have been sleeping to actually grow muscle) devouring muscle magazines in search of the holy grail of muscle building. It does not exist, so do not waste your time. A mistake I have made countless times in my training life is to program hop. This is a huge problem for any goal, but especially for muscle gain. When you start a new program, your initial gains are more neuromuscular. That means that the body gets stronger by improving its ability to recruit and fire motor units (groups of muscle fibers) and synchronize different muscles to work together more efficiently. The body always starts with these adaptations first because they are easier. Once these gains have been made, your body is then forced to grow more muscle tissue to survive the stress of the program. If you hop from one program to the next, you never get a chance to actually have the muscle gain happen. Another mistake related to mistakes 4 & 5 is sweating the small stuff. I used to be obsessed about finding the perfect training split. Others get all caught up with the incline angle of their bench, their foot placement for preacher curls or other insignificant details. In the end, all this does is waste mental energy, cause secretion of more cortisol and distracts you from more important things like hard training, better recovery and proper nutrition. I had a student in one of my weight training classes ask me what else he should do for building a bigger chest. I asked him what we has doing and he rattled off four different exercises. I explained to him that he is already doing more than enough exercises. He needed to do less exercises and focus on improving his performance on the most important ones. If some is good, more is… you know the rest. Many people in the zeal to gain muscle simply do too much. Gyms are full of guys training 2+ hours a day, 6 days a week. While this does work for some people, it is often too much for most. What they fail to realize is that training simply stimulates your muscles to growth, but you need rest for them to actually grow. Too much work can slow down or completely stop your progress. As with many things in the fitness industry, the problem of overtraining is often reacted to by going too far to the other extreme and undertraining. While too much is bad, too little volume fails to provide your muscles with a reason to grow. You need some volume to build muslce. While some people respond well to intense, low-volume programs, most need a moderate amount of volume to grow muscle. Skinny guy: But I eat a ton! Unless you truly need over 5000 calories a day, you can get those with whole, natural foods. Today: excessive restriction. While it is sometimes best to avoid certain foods for health reasons, unnecessarily avoiding certain foods because of popular fads can make it unnecessarily challenging to meet your muscle building nutrition needs. Muscle grows at rest. Failure to get adequate sleep, rest and control your stress levels negates the muscle building opportunity and fills your body with unwanted cortisol that wastes away muscle tissue. As the wise Coach Dan John points out, muscle building requires a singular focus to your training. 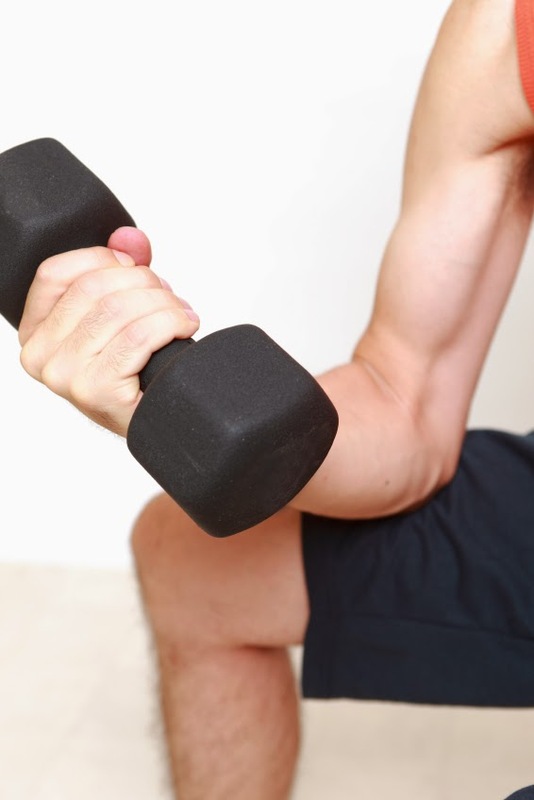 Too many people try to gain muscle while simultaneously perusing other goals (e.g. conditioning, sports performance). Or, they try to gain muscle while enjoying too much other physically-intense activity. For example, some guys will train and then go play pick-up basketball for two hours – fun, but a great way to kill your muscle growth. Gaining muscle does not have to be the elusive goal a lot of people think it is. Learn the easy way and avoid these mistakes and you will be on your way to more muscle in less time. This is great advice! Even after training for over 15 years, I still fall prey to some of these mistakes from time to time. However I have been able to identify them early on and manage them properly. For me, I've found that I started breaking plateaus once I started cleaning up my act outside of the gym. Good rest, reduced stress, decent nutrition, all have been doing absolute wonders to my goals. Regarding #5, how would you define a "new program"? How long should a program be used for at minimum, while still reaping the benefits of muscle confusion? #13 where would the line be drawn, as most sports do require training in multiple areas simultaneously? E.g. a hockey player can't expect to keep up if he neglects his conditioning while strength building in the offseason. Is muscle growth inversely proportional to any other training goal? Thanks for your comment on the outside of gym factors Rob. Also, excellent questions! How long you stay on a program can vary tremendously on many factors (e.g. training level, how much you are changing, how your joints feel, results, etc).. Generally speaking the first several weeks are more neuromuscular so I would suggest 6-8 weeks for the average person. If you have been training for 15 years, you will likely need to change a program more often than a newbie. My advice is for people to try to milk a program while it is working. If you are feeling good, gradually getting stronger and increasing size & weight, stay with it. If you are starting to get nagging joint pain or have hit a serious plateau, it is likely time for a change. I'm generally not a fan of muscle confusion. Rather, I encourage people to stay with something and focus on progression while that works and then change when needed. For more info check out: http://www.andrewheming.com/search?q=muscle+confusion&x=12&y=17.